The classic game of heroic starship adventure is back with a brand new edition! You and your friends crew a starship on daring missions against enemy ships, space monsters and much more! 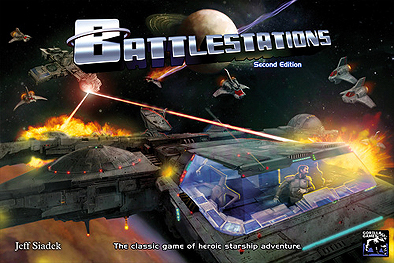 A board game with strict turn structure and mission-based victory conditions. A roleplaying game with continuing characters and campaigns. A miniatures game with alien miniatures that are truly alien. Multiple maps simultaneously feature ship action in space AND the crews on board the ships!